Uncharted 4 by American dev Naughty Dog has undoubtedly been one of the top video games of the year due to its superb story and gameplay, even if it did lose the Game of the Year award to Blizzard’s sensational Overwatch at this year’s Game Awards show. But still, the game’s Hollywood-calibre story and great cast of characters were surely the highlights of Naughty Dog’s game, with the likes of Uncharted’s hero Nathan Drake being brought to life by great performances from actors like Troy Baker. And while Nathan Drake has been a great character to play as over the years, those wanting to see a female protagonist in an Uncharted game are in luck, as Naughty Dog’s The Lost Legacy story DLC for Uncharted 4 will let gamers play as Chloe Fraser, a character first introduced in 2009’s Uncharted 2: Among Thieves. 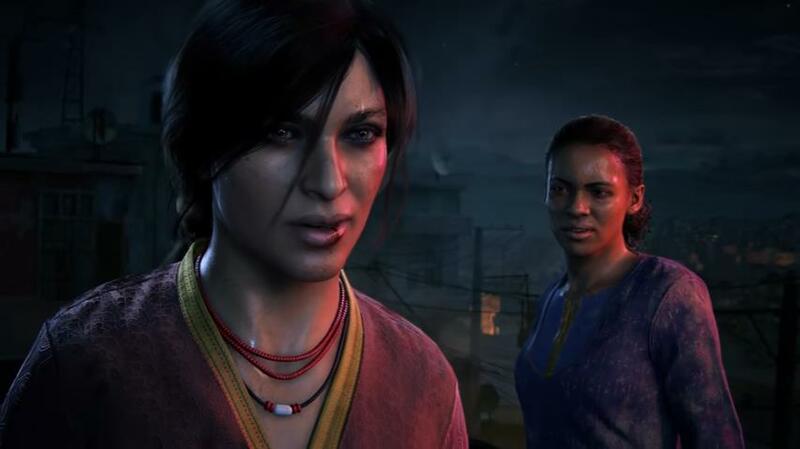 The Lost Legacy’s plot will be set in India, where Chloe Fraser will enlist the help of Nadine Ross, the ruthless mercenary and villainess from Uncharted 4, in a story that looks likely to be as interesting as Nathan Drake’s final journey in the main Uncharted 4 game. And the fact that The Lost Legacy features a female lead and playable character makes it one of several games coming in 2017 in which a lady will be the lead, including Horizon: Zero Dawn and Bioware’s eagerly anticipated Mass Effect Andromeda. The Lost Legacy will be available for purchase standalone or as part of Uncharted 4’s season pass, while players will have until December 13 to get hold of Uncharted 4’s Digital Deluxe Edition or the Explorer’s Pack, which will enable them to download The Lost Legacy free of charge when it’s released. What is clear, though, is that The Lost Legacy looks like it will be another fine slice of adventuring in the Naughty Dog tradition, and hopefully one which will live up to the great Uncharted games of the past, although we’ll know for sure whether Naughty Dog will be able to deliver another superb expansion like their earlier Left Behind DLC when Uncharted: The Lost Legacy is released sometime in 2017.